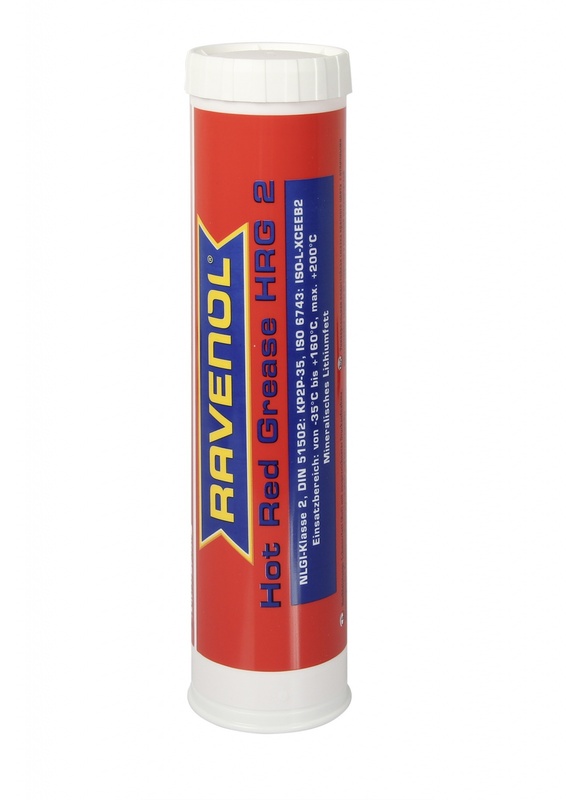 RAVENOL Hot Red Grease HRG 2 is a red lithium complex soap lubricating grease prepared with high quality base oils. Excellent walk stability, rust and corrosion protection. Application for the lubrication of roller and friction bearings under extreme pressure at high bearing temperatures. Particularly recommended for the lubrication of wheel bearings on commercial vehicles and for high-speed passenger car wheel bearings. Used for the lubrication of roller and friction bearings under extreme pressure at high bearing temperatures. 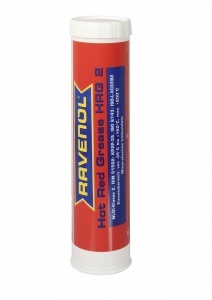 Particularly recommended for the lubrication of commercial vehicles and for high-speed passenger car wheel bearings.